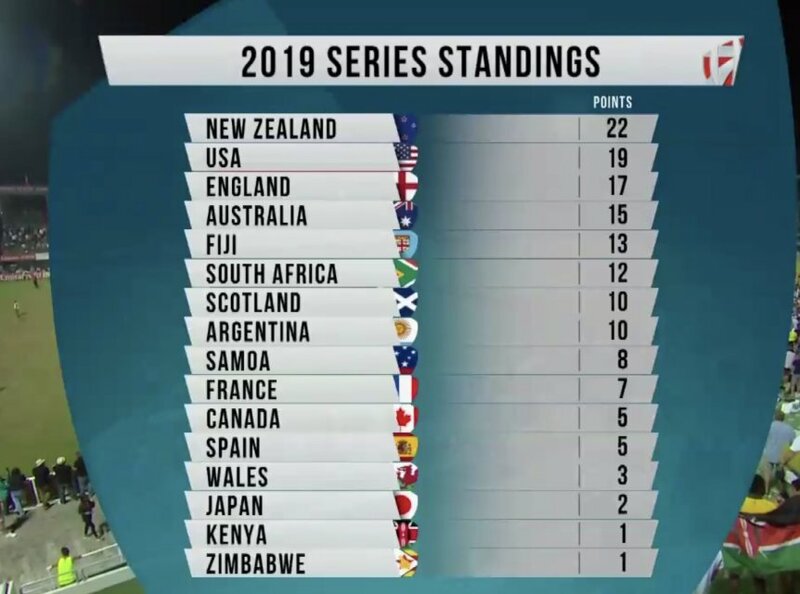 Kenya 7s find themselves 15th in the HSBC World Sevens Series 2019 standings after the first round. Shujaa collected one point at Dubai 7s where they were knocked out in the 13th place semis by Japan. They are only ahead of Zimbabwe – a non core team but will be at next weekend’s Cape Town 7s. New Zealand’s win at Dubai means they are on top with 22 points followed by USA who have 19 as rivals Fiji and South Africa stay 5th and 6th with 13 and 12 points respectively. Kenya heads to Cape Town 7s to play England, France and Fiji in pool B.